Tito Titus Mboweni is the Minister of Finance of South Africa and former Governor of the South African Reserve Bank. Mboweni was born in Tzaneen in the Transvaal on 16 March 1959 and was the last of three children. After completing high school, Tito Mboweni attended the University of the North in Transvaal between 1979 and 1980, where he was registered for a Bachelor of Commerce degree. He did not complete his studies there because of his political activism, and left the country to go into exile in Lesotho in 1980, where he completed his degree at the National University of Lesotho (NUL), and joined the African National Congress (ANC). After completing his Bachelor of Arts (Honours) majoring in Political Science and Economics at NUL, he left to pursue a Master of Arts degree in Development Economics at the University of East Anglia in England in 1987. Mboweni returned to South Africa in the 1990s and was the was Deputy Head of the Department of Economic Policy in the ANC, where he was instrumental in economic policy development and represented the ANC on both domestic and international platforms as a member of the ANC’s National Executive and National Working Committees and Chairperson of the National Executive Committee’s Economic Transformation Committee. In 1994 Mboweni was appointed Minister of Labour from May 1994 to July 1998 in the first democratic cabinet of the Republic of South Africa led by President Nelson Mandela. While Minister of Labour Mboweni was the architect of South Africa’s post-Apartheid labour legislation. He became one of the World Economic Forums Global Leaders of Tomorrow in 1995, and was appointed head of the ANC’s Policy Department in 1997. However, Mboweni resigned from his political commitments to the ANC upon joining the South African Reserve Bank, first as Advisor to the Governor in 1998, then later as Governor in 1999. Mboweni was the eighth Governor of the South African Reserve Bank and the first black South African to hold the position. He served from 1999 to 2009 succeeding Governor Dr. Chris Stals. Tito Mboweni holds many prestigious accolades and honorable positions from multiple institutions of higher education in South Africa. He was appointed honorary Professor of Economics at the University of South Africa for 2000 to 2003. He was also awarded degree of honorary Doctor of Economics by the University of Natal in 2001. In 2002, Mboweni was elected Chancellor of the University of the North-West and was installed as Chancellor on 23 February 2002. The University of Stellenbosch appointed the him Professor Extraordinary in Economics for the period 1 April 2002 to 31 March 2005. In June 2010, Mboweni was appointed an International Adviser of Goldman Sachs International, where he provided strategic advice to the firm on business development opportunities, with a particular focus on South Africa and Sub-Saharan Africa. The Asia School of Business appointed Mboweni to its Board of Governors in 2015, and in the same year he was appointed as an honorary professor in the School of Economic and Business Sciences at the University of the Witwatersrand. Minister Mboweni was appointed, then sworn in as the South African Finance Minister on the 9th of October 2018 by President Cyril Ramaphosa. • Mail & Guardian. 2010. “Tito Mboweni Joins Goldman Sachs”. The M&G Online. 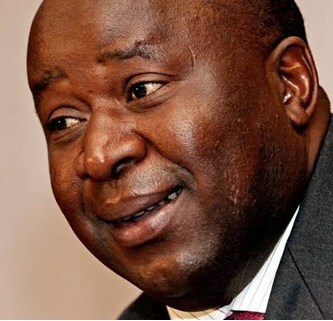 https://mg.co.za/article/2010-04-26-tito-mboweni-joins-goldman-sachs.